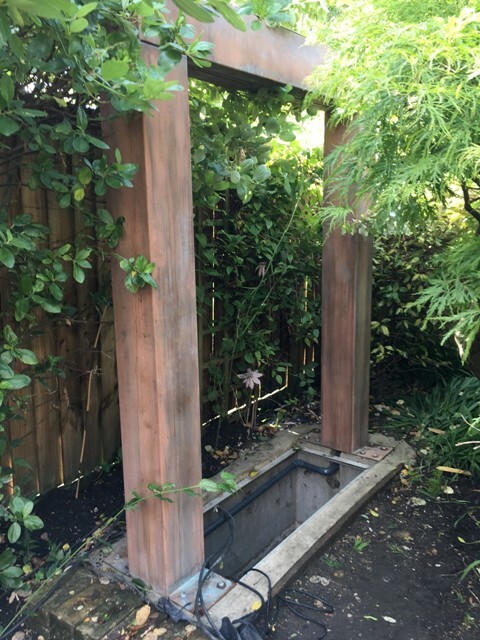 Self contained water feature comprising a raised bed planted area, twin 900mm Water Blades - cascading into a large Stainless Steel Pool feeding twin Rills. The design can be customised to suit your reqirements in terms of Rill Sizes, Pool Size, Blade widths etc. Similarly the raised bed shape can be varied to suit your location, and it can be constructed either from softwood or solid oak reclaimed sleepers.